On 23 June 2016, Britain held a referendum to ask whether it should leave the European Union, with Leave winning by 51.9% to 48.1%. Since then, more than 1.4 million young people are now eligible to vote. When the referendum was held, the Union backed remain, citing a negative impact on higher education and graduate opportunities as key reasons for this decision. Our full blog on this decision can be found here: EU Referendum: BritaIN or BrEXIT? The deadline for the UK to leave the EU is fast approaching. What this will look like no one yet knows, but there is a large campaign calling for there to be another public vote called a People’s Vote, so that the British public can have a say with a clearer idea of what Britain will look like outside of the EU. Clearly, even from this small sample, this is something that students have strong opinions on. We exist to unlock the potential and enrich the life of every student. We are here to represent you. We are holding an All Student Vote so that, as a Union, we can represent student views on the national campaign for a people’s vote. Many students have asked us to back the People’s Vote campaign, however before we can do so we require a democratic mandate from our members. 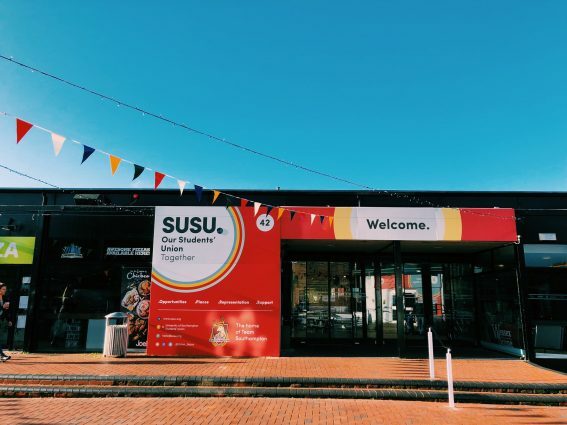 Today we are asking students to vote on whether or not SUSU should publicly back this campaign. All of our students are able to vote on this issue, whether you are a domestic student, international student, EU student or otherwise – Brexit affects all of us. We require 10% of our students to vote in order to be quorate, which is 2098 members, and the outcome of the vote will be based on a simple majority. The vote will run until 13:00 on Friday 22 March. If students feel strongly about this issue we strongly recommend voting and sharing with friends to guide our response. If anyone would like advice, links and contacts to help prepare for the UK’s withdrawal from the European Union (EU) please click here. We’re asking: Should SUSU support the national campaign for a People’s Vote on Brexit? Voting opens today at 17:00 and will close at 13:00 on Friday 22 March.